Whatever your needs are, we want to help you achieve them. 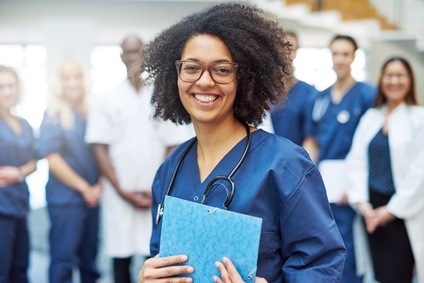 With over 25 years of experience, we have built hundreds of customized answering service action plans for medical professionals working at facilities of all sizes. Health care is our specialty. We do nothing else. position your team to focus on providing the highest quality of care. We do that by providing you with specially trained call professionals in medical specific courses to provide reception services as low as $75 a month. We even offer a FREE 30-Day Trial so you can experience the difference yourself before making any commitment. Our rate of transfer error. When it’s an emergency, we reach the right doctor in the right amount of time. There is no time for mistakes. Our correct routing decision rate. Our professionals carefully and consistently follow your protocols, contacting practitioners only when necessary. Traditional answering service providers handle calls for many types of businesses. Their agents may answer a call for a pizza delivery, a tow truck, a plumber, and then a physician. At The Doctors Answer we believe the medical community is too specialized and too complex to group them with other businesses. That's why we exclusively specialize in medical care, providing our clients with expert answering service staff who highly trained and handle everything medical, all the time. The Doctors Answer meets all HIPAA standards. We also have in place administrative, physical and technical safeguards as advised by the U.S. Department of Health and Human Services. Keeping your patient's Personal Health Information (PHI) safe and protected is our priority. In addition to encrypted web portals and secure messaging platforms, our employees undergo strict HIPAA compliance training to stay up-to-date with HIPAA regulations. Accuracy and speed of service are paramount in any medical situation. Despite the best facilities and staff, the medical professions are often let down by communication systems and personnel ill-equipped to deal satisfactorily with above average call volumes. At times like these, a single missed or unattended call can lead to decreased satisfaction, loss of patients and potentially disastrous consequences. Given that sickness and patient discomfort cannot conform to the pattern with which you optimize your call management systems, it is important to have technical and staffing backups in place that can cover for you in times of need. This gives your staff the ability to provide adequate attention to the patients in their care, secure in the knowledge that the overflow will be managed by us. This is exactly what The Doctors Answer provides 24/7, 365 days a year. We believe in our service and are confident you will too. That’s why we are offer a one month free trial of our medical answering services without disturbing your current processes. No strings attached. At the end of the trial period, if our services do not meet your expectations, we will help you move back to your original process at zero cost. Our polished live representatives combined with a customized front end voicemail system can give your office a modern, professional touch with a minimum of cost. Most importantly, this automatically prioritizes incoming calls ensuring no urgent requirement or emergency call goes unattended. Result: Manifold increase in productivity at a fraction of the price of a single additional receptionist. 6. Fewer Interruptions. Better Work Life Balance. With The Doctors Answer, medical professionals are spared the hassle of having to handle routine calls at inconvenient times – both in and out of the office. We can help maintain a balance between professional and personal life without compromising the quality of medical care provided to patients regardless of vacation time or call outs. With The Doctors Answer, your callers always hear a friendly, helpful voice no matter how many employees are in (or out) of your office. We are here to assist you with your calls 24/7/365 days a year. This includes during business hours for call overflow, weekends and all holidays. We utilize state-of-the-art technology to ensure that every call is handled according to your established protocols ensuring round the clock accessibility. We understand that every organization is different and one size does not fit all. With pricing options that range from tiered monthly minute plans to cover fluctuating needs with consistent pricing as well as “pay as you go” packages, we have services priced for a variety of needs. Additionally, we always include all of our technology and routine calls FREE regardless of your level of service.